Ta-da! 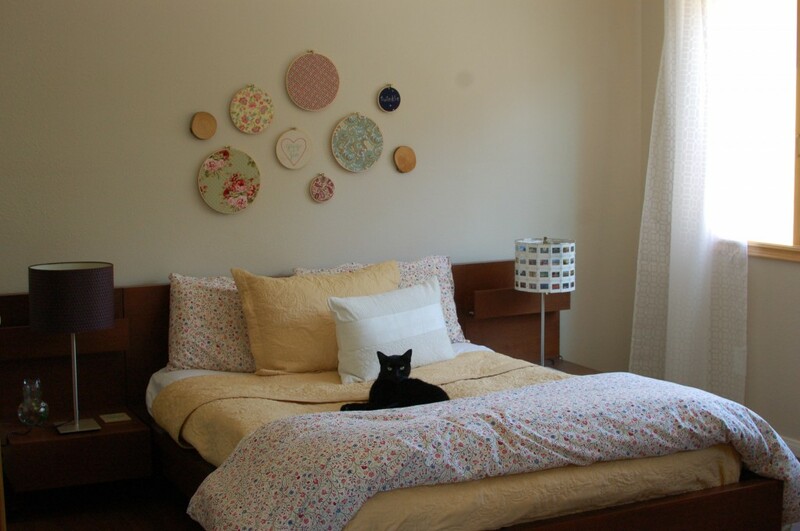 I recently finished a collection of circles over our bed and am quite happy with the results. We needed something over our low platform bed to break up the big, neutral wall and I was looking for earthquake-friendly ideas (Late night shower of glass and metal? No thanks!). I first spotted “swatch portraits” over at the purl bee and loved them. 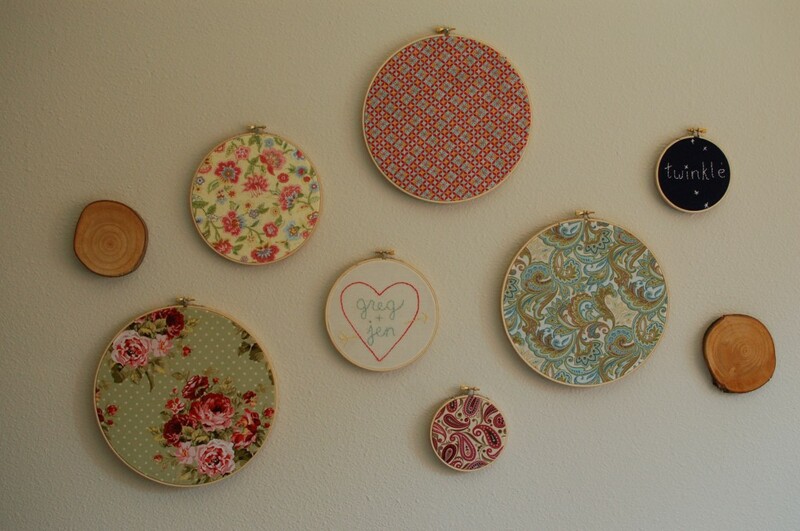 So easy and so cute — just use a little school glue to fasten fabric to inexpensive embroidery hoops and instant art! I also stitched a couple pieces and added log slices (that Greg cut from firewood) for variety. In addition to falling gently on the forehead, the hoops are easy to update and (if embroidery becomes my next obsession!) the collection is easy to expand. Pixel, our kitty, was kind enough to share them with you. I was looking for inspiration on what to hang above my bed and randomly stumbled upon this photo and, subsequently, your site. I really love this look and wanted to see if you would share what sizes of hoops you used. Thanks for posting this!